2. A pair of Summit County girls have been awarded scholarships by the Lindsey Vonn Foundation. Isabelle Tarrant and Alina Cospolich, both of Breckenridge, are two of a dozen young people to earn the Lindsey Vonn Foundation fall 2018 scholarship honor, eleven girls and one boy were selected from across the country. They will split a total of $40,288 in scholarship money to help them pursue educational, leadership and athletic endeavors. 3. OpenSnow.com meteorologist Joel Gratz said that snowpack is doing great this early in the season, and is now at 150 to 200 percent of average. Gratz said the next storm in the cycle might come around Nov. 20th, with a chance of storms in early December. Early snow means better spring conditions as new snow falling on a good base stays longer. 4. 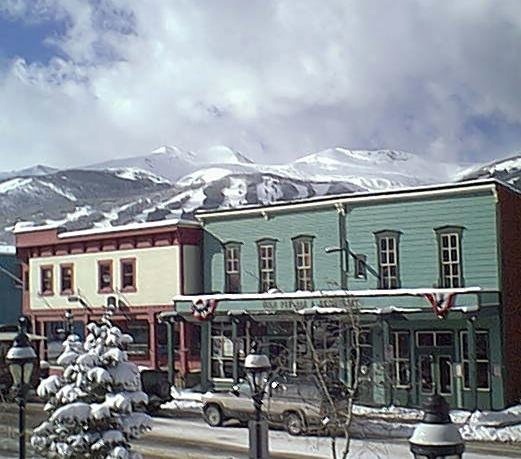 Early December Events; December 8th; The lighting of Breckenridge. December 11-17, The Dew Tour comes to Breckenridge. See more at my blog.